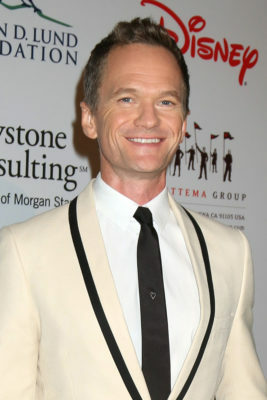 Neil Patrick Harris is returning to NBC this March. The peacock network has announced that Harris’ new Genius Junior game show will launch on Sunday, March 18th, at 9 pm. It will be preceded by the two-hour launch of season three of Steve Harvey’s Little Big Shots. This will be Harris’ second unscripted series on NBC. He previously starred in the Best Time Ever with Neil Patrick Harris variety series back in 2015. It lasted for one season before being cancelled. No stranger to young geniuses, Neil Patrick Harris hosts an exciting new game show that celebrates the smartest kids in America. These talented “genius juniors” will team up in threes to take on mind-blowing tests of logic, math, memory, spelling and more. Through escalating rounds leading to semifinals and a big finale, they will be tested in each area of the brain, culminating in an ultimate challenge to be crowned the smartest and brightest. The winning team will take home a life-changing prize – setting the stage for a big, bright future ahead. Neil Patrick Harris, Pam Healey, John Hesling, Phil Parsons and Ed Egan executive produce. “Genius Junior” is produced by Shed Media in association with Prediction Productions. More about: Best Time Ever with Neil Patrick Harris, Genius Junior, Genius Junior: canceled or renewed?, NBC TV shows: canceled or renewed? PleSe put little big shots back on!!! Sounds exactly like ABC’s Child Support. …except that these are genius kids competing against each other in academics. I’m sure they will be very impressive! Looking forward to it!